Meet the Civic Area Artists! When: Thursday, December 6, 2018; 5:00 to 7:00 p.m.
Arts and cultural components are integral to Civic Area experience, which includes both permanent and temporary projects in a variety of media. Adam Kuby (Portland, OR) and Michelle Sparks (Boulder, CO) were selected for permanent public art commissions by a community selection panel. Kuby has been awarded a public art commission for the newly renovated Civic Area and Sparks has been awarded a public art commission for the Boulder Creek Path Underpass at Arapahoe Ave. and 13th St. Their respective artworks are civic in scale, site-specific and responsive to Boulder’s public space and natural environment. Portland, OR-based artist, Adam Kuby, creates landscape-based public art installations that respond to the interaction between the built and natural environments. He received a Bachelor of Arts in Environmental Design from the University of Pennsylvania and a Master of Fine Arts in Sculpture from the University of North Carolina. He has recent commissions in Seattle, Tacoma, Vancouver and Calgary. Kuby has received two awards from the Public Art Network. 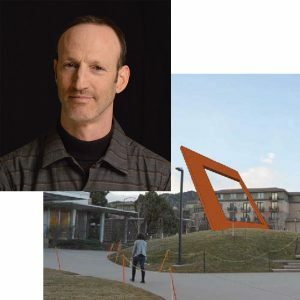 Kuby’s project for Boulder, titled 55 Degrees, is inspired by the iconic Flatirons. The artist has designed a series of large-scale corten steel sculptures that will be installed in late 2019. Click for more information about Kuby’s project. Boulder, Colorado-based artist, Michelle Sparks, explores human interaction with nature. She collects, records and broadcasts community stories to create unusual immersive spaces to challenge the way we relate to public space. Recent commissions include, “Cycle of Life,” in Bergen, Norway and, “Uproot,” for the Museum of Outdoor Arts, Denver, CO. Sparks earned her BFA at CU Boulder and her MFA in sculpture from University of Bergen, Norway. 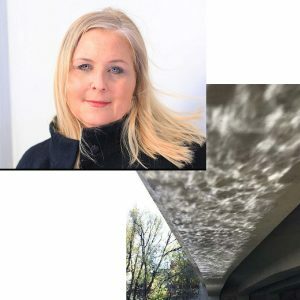 Inspired by the Boulder Creek, Sparks will design and install a caustic light installation that utilizes the inherent qualities of the creek flow to project light onto the ceiling and walls of the Arapahoe Underpass. Click for more information and renderings of Sparks’ project.